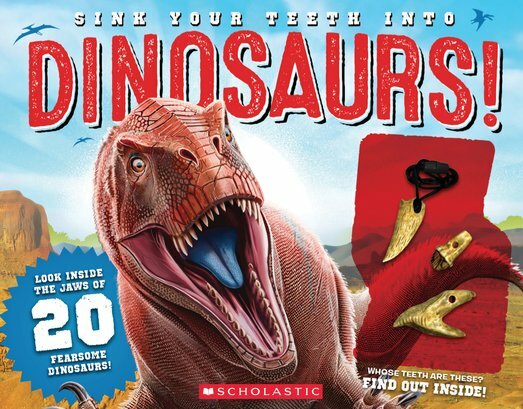 Finally – your chance to become a dinosaur dentist. Peek between the jaws of 20 deadly dinosaurs! Could you identify a T-Rex from its jaws? Do you know what a brontosaurus tooth looks like? Which dino had the biggest teeth? Who had the most powerful bite? And which dino had no teeth at all? Peek into the mouths of 20 different dinosaurs to find out. (Please be very careful.) Plus: make your own necklace with three replica dinosaur teeth. Feel the power of a dinosaur’s bite! NC1150L Lexiles are the global standard in reading assessment. They are unique as they are able to measure a child and a book on the same scale – ensuring the right book gets to the right child at the right time.